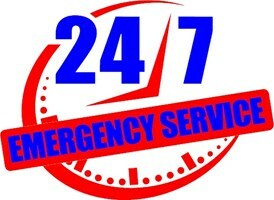 24/7 Heating Limited - Appliance Services/Repair, Central Heating Engineer, Plumber based in Carshalton, Surrey. I am a qualified gas Installer and have now 12 years' work experience. I have worked with many companies like Orion, Jsms and BSW HEATING LTD.. I also have some other engineers working with me who have different skills that cover all kinds of work which comes under our expectations. I have plumbers, gas engineers and labourers working with me. We try our best for our customers - to satisfy them - and our aim is to be on time and also give the customer our first priority. The work is done professionally and the work space should be left clean and tidy. We provide all kinds of work like Plumbing, Boiler breakdown services, Landlord Certificate or Annual check-ups. Our workers are professional, reliable and our customers always come first!